Maybe it’s time to take things a bit less seriously. Perhaps you even made a new year’s resolution to that end. After all, there’s no point stressing out after getting cut off on your drive to work since you’ll never see that car again. Spill some cream while making your morning coffee? It can be cleaned up before your coffee is cool enough to drink. The man behind this week’s wine, Johnny Q Cabernet Sauvignon, is Johnny Q himself, and his motto is “you just can’t take life too seriously”. So this week, put your feet up, shake off the stress, and take a cue from Johnny Q, with a glass of his Cab in hand. 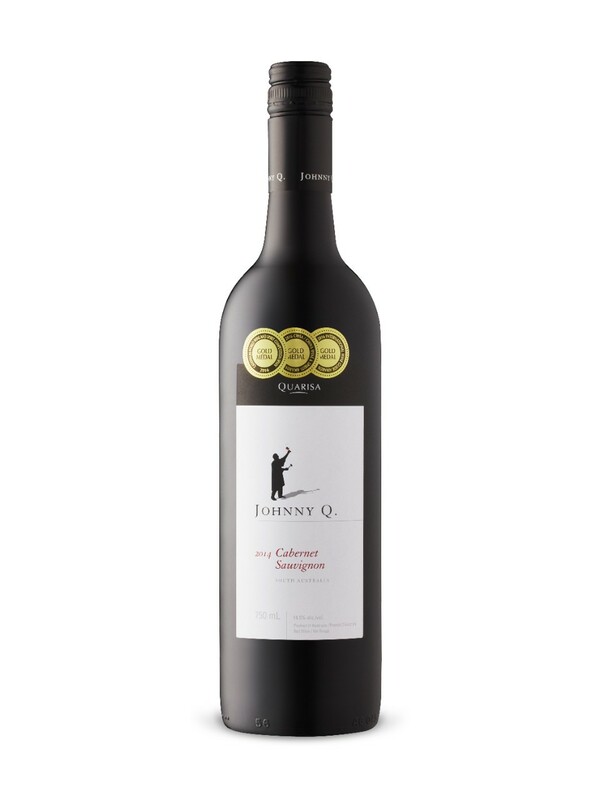 Tasting Notes: Johnny Q Cabernet Sauvignon 2014 hails from the Coonawarra region of Australia. A deep ruby hue, the wine sports aromas of cassis and dark berries, vanilla, mint and eucalyptus. The palate’s rich, ripe currant, berry and spice flavours are matched by lively acidity and well-structured tannins, giving the wine an intense but smooth texture and a long finish. Enjoy With: Grilled T-bone steaks, juicy burgers, roast prime rib, smoked meats and sharp cheeses. Johnny Q Cabernet is also a great sipping wine to warm your core all winter long. Style: A dry, full-bodied red wine. Terroir/Region: The Coonawarra region of Australia is one of those places that makes wines which cannot be replicated anywhere else in the world. Noted for its Terra Rossa soils, the region specializes in producing intense, structured wines from Cabernet Sauvignon and Shiraz, two grapes that helped Australia earn its reputation for big reds. In a country focused on these two grapes, Coonawarra’s wines are in a class of their own, but you’ll have to grab a bottle to taste why. Producer: Johnny Q wines take their name from the Quarisa family of Quarisa Wines, and Johnny, father of the family and head winemaker. Born in Australia, Johnny embraced his Italian roots and took to winemaking. He has now spent over 24 years in the business, always focusing on quality driven wines and affordable prices. He has definitely struck the right balance, winning several Aussie awards and winning over wine fans around the world. Keep it up Johnny! Availability: Johnny Q Cabernet Sauvignon is available on January 19th in the Vintages section of your local LCBO, but a few stores may already have it on shelf. Grab a bottle and take a page out of Johnny Q’s book: don’t take life too seriously.